As anyone who’s been reading this blog for any period of time knows, the course of my life was radically changed when a pastor found my gift and showed me how to use my gift of art to serve the Lord. 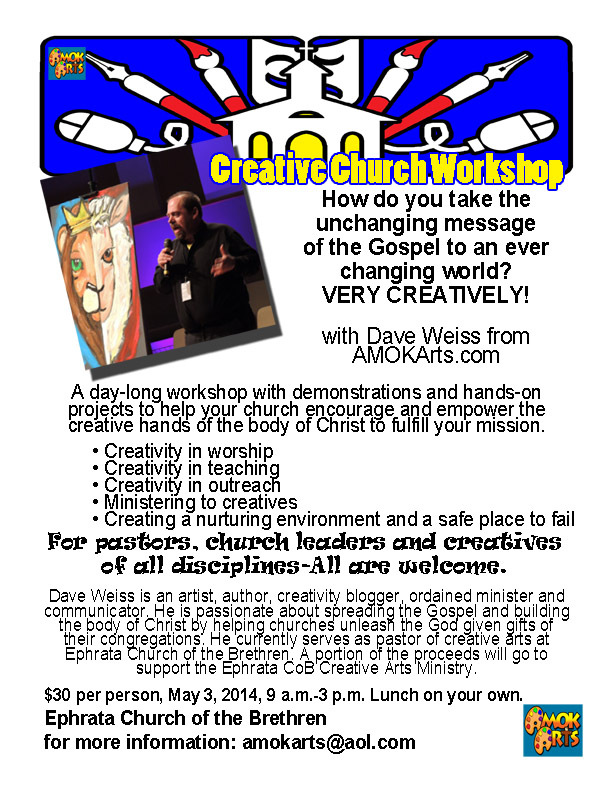 Well I am trying to help churches to do the same thing with my new presentation The Creative Church Workshop. 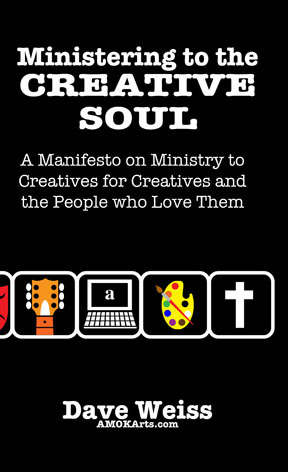 It’s a day-long workshop to help church leaders to minister to the creatives in their congregations and to empower them to use their gifts to serve the Lord. It’s also going to be a great day to empower the creatives themselves (of all disciplines) as we explore ways they can use those gifts in the church and the world beyond. The workshop is presented by Dave Weiss. 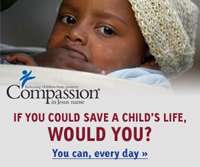 He is an artist, author, creativity blogger, ordained minister and communicator. He is passionate about spreading the Gospel and building the body of Christ by helping churches unleash the God given gifts of their congregations. He currently serves as pastor of creative arts at Ephrata Church of the Brethren. 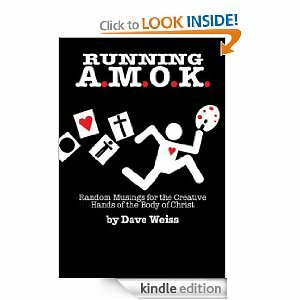 To bring The Creative Church Workshop to your church, please contact me at AMOKArts@aol.com.